Our pitches have a considerable size and are always close to a sanitary block. You can also rent a mobilhome. You can go hiking or biking with your family, play pétanque or go fishing. 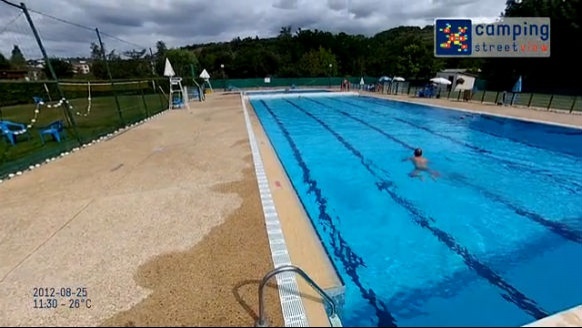 Your stay on our campsite allows you a free access to the municipal swimming pool. Direct connection to electricity (10A). Independent pitch with hedges. Limited to 6 persons (children and babies included). Average area : 100 to 120m². Use of toilet blocks included. Independent pitch with hedges. Limited to 6 persons (children and babies included). Average area : 100 to 120m². Use of toilets blocks included.